The surreptitious Bayside bar, opened during Prohibition, was one of the few in metro area. 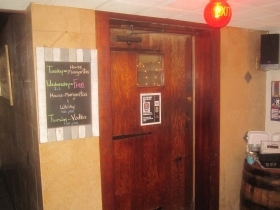 The Speakeasy is part of Los Paisa Restaurant. Photo by Michael Horne. The retro cocktail craze has so consumed the nation that numerous new taverns are fashioning themselves after the Prohibition-era Speakeasy, with hidden entrances, dim lighting and other accouterments of the Roaring Twenties. In the City of Milwaukee, where hundreds of former taverns were licensed as “Soft Drink Parlors,” permitted to sell beer with as much alcoholic content as a slice of white bread, there was little need for external subterfuge to camouflage the operation within. You went and drank where you always drank, confident that the barrels served up something more powerful than .05% alcoholic content brew. “Speakeasies,” as such, which we define as drinking places intended to deceive, were therefore relatively rare here in the city of taverns. There is a significant exception, however, in a residential building located at 600 W. Brown Deer Rd. in the Village of Bayside, which was very sparsely populated during the Noble Experiment, and not incorporated until 1953, when the original Town of Milwaukee, founded in 1835, finally died with Bayside’s birth. By that time The Speakeasy was over two decades old. The Lannon stone structure that houses The Speakeasy, part of Los Paisa Restaurant, looks from the outside to be a particularly well-constructed Tudor Revival country home of two stories. The main door is recessed under a round arch of expertly laid masonry. 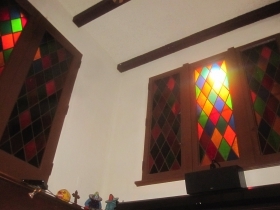 Leaded glass windows and other quality details predominate. The building is capped with a tile roof, which requires mighty strong walls and a good foundation. The eastern elevation of the building shows large stained glass windows on the first floor. Actually, these are clerestory windows in a shaft above the basement, where the once-illicit bar is located. A fine stone chimney rises above the steep roofline. It leads to a working fireplace below — in the basement. Since this building was constructed during the era of the Town of Milwaukee, records about its history are slight. It was constructed for Charlie Fenz and his wife Mary, who appeared to have occupied the whole house. The interior is also of fine quality, with plaster walls, coved ceilings, tile floors, and a floor plan that easily obscures the access to the basement. An exterior stairway at the front of the building leads to the lower level. There is a small window in the door, adding to the speakeasy vibe. 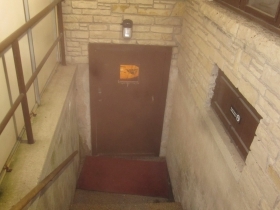 A door leads to what must be among the finest sets of basement stairs in the area. An oak rail surmounts twisted wrought iron balustrades, and terminates in a graceful arch when you reach the bottom of the carpeted steps. Many authentic details remain, including the fireplace, and some oak doors with broad strap hinges, also expertly wrought. The stained glass windows glow above the bar, which is sheathed in copper, just like the one at Thurman’s 15 in Milwaukee, with which this place has blessedly little else in common. (This place has less tie-dye and lots more tequila.) 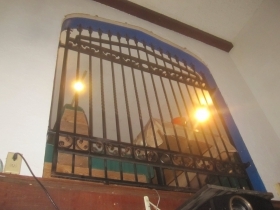 An iron gate above allows a glimpse into the basement. We can imagine Mary shouting downstairs to Charlie and the gang, telling them when a suspicious vehicle pulled up. Behind the bar are rows of liquor, mostly the good stuff, and considerably in demand in the North Shore. 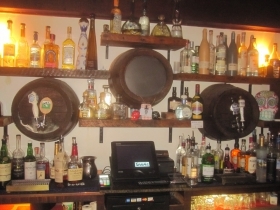 The wall behind the bar is also decorated with three barrel heads, two of which dispense beers from two taps each. The cooler is located behind. Recent alterations include a dropped ceiling that in no way recreates a speakeasy feeling, it being very bright. 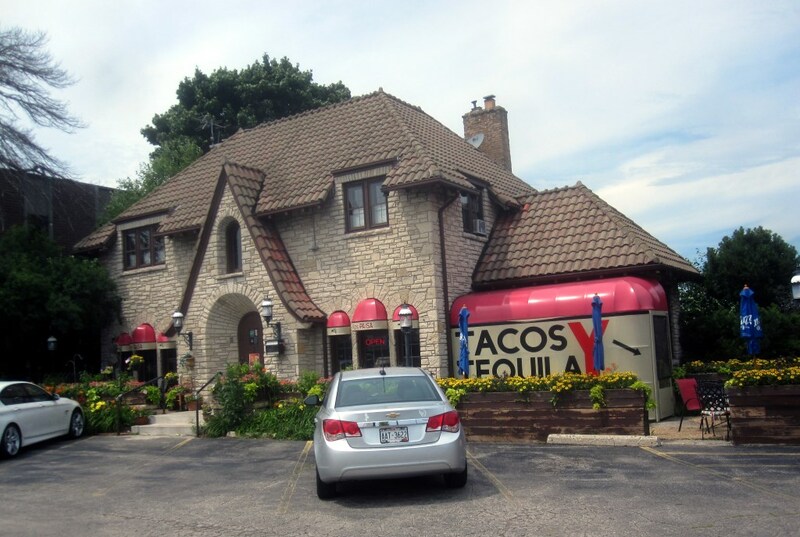 A number of things that gave the place character, such as a photo of the home when it was wrapped with gardens, are gone, replaced with a glowing sign that reads “TACOS” and other decorations similar to those found in the restaurant above. The decor is now more reminiscent of Villagron Guanajuato than of Tudor England. Also gone is a fish tank, an old painting of a comely woman, most likely art for an advertisement in a 1920s magazine and other items from the past. Particularly of interest was a black-and-white photograph showing men drinking down here in about 1950. One well-dressed handsome young fellow (probably an escapee from River Hills slumming it after a round of golf at the Milwaukee Country Club) looks particularly intoxicated. If he survived the evening, and made it to this day, he’d be well into his eighties. Due to its surreptitious nature, much of the history of the place remains unknown, especially since bootleggers were not known for maintaining and preserving their financial records. The place retained its popularity among a subset of the North Shore as a quiet getaway. Some would sit at the bar, with its half dozen or so stools, and a bartender never out of reach or earshot. Others could choose to sit at tables near the fireplace, or by a door marked “Private.” It is all quite hushed, and a good place for easy speaking. 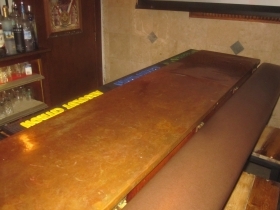 In 1962, the place was bought by Fred Bruel [1922-2012], a City of Glendale police officer. Around 1980 he sold the place to his only child, Dean Bruel, who operated The Speakeasy and who lived above. 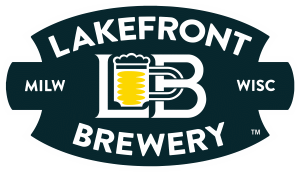 This year, on March 23rd, Breul sold the building for $1,325,000, retired from business, and moved to a lakefront condo near Brady Street. Subdivision: Could not be determined. When built, was out in the countryside by a good measure. Description: Located in the basement of a fine stone residential-type structure with apartment on top floor, the Speakeasy truly lives up to its name, having been built during Prohibition to deceive. Year Established: As a Speakeasy, c.1929. Restaurant Los Paisa opened on first floor March 24th, 2005.
Business: Full Service Restaurant, Tavern. Aaaah, remember Prohibition? Yeah, it still doesn’t work. Legalize, tax and regulate cannabis. An unknown history, with bootleggers! I’d never heard of this place before! Thanks, Michael Horne!